George M. Weah, I am still very proud of what you have done. As your Inauguration approaches, I couldn’t help but think of the tremendous work that is before you. Hard task ahead is what you have. According to the Newspapers, you have inherited a poor and broken down infrastructure of a country. The national News is saying the nation is a broke government –that there is no money to begin work on your first day –national coffers are empty. According to local news, Liberian lawmakers earn on average $208K annually including extravagant perks. Such a pay scale leaves no money for civil servants salary adjustment. The News report that Recurring Expenditure make up 80% of the Liberian National Budget, and the national budget is largely dependent on foreign aid. Salaries of upper government officials and public executives are excessive, plus fringe benefits. Liberian legislators earn more per annum than the average US Senators and Representatives. How can this be? The United States is a first world country, global World Leader and Superpower. Liberia is a third world vastly undeveloped country, which depends largely on the money and resource of the first world for its very budget and operation. Most every dollar spent is borrowed. Besides, competency level of the Legislative branches of the two countries is not even a point for discussion. Case closed. Here is more News, President Weah. You are inheriting a country poised for successful continuance because of the solid foundation that has been laid. A country which has come tremendously far in the last twelve years. 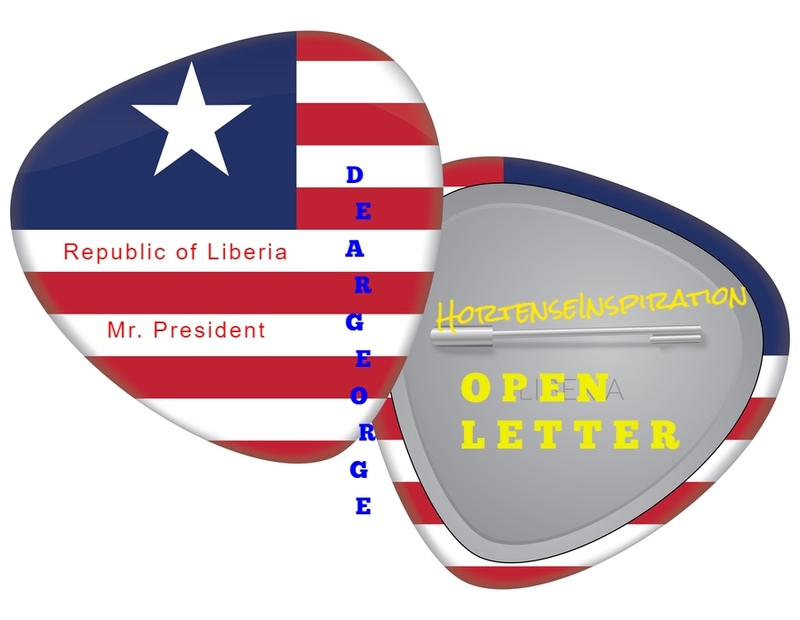 It is indisputable your predecessor has accomplished great national success, overall, and worked assiduously to set Liberia on a firm footing. Build on the infrastructure that will be delivered into your hand. The nation which you inherit today is institutionally intact and functioning. From this point build Upward. Case closed. Bottom line Liberia. Start with reduction of high salaries for government positions. The country is bleeding to death from this wound. The trimmings could jumpstart a middle class. There begins a path to economic recovery. In nations everywhere, middle class drives economy. It is vital to have a functioning middle class which, in turn, stimulates business and growth and fuels productivity. President Weah, it might be time to implement strict austerity measures. Slashing all unnecessary wasteful spending is one definite way to reverse the money drain and fix the broke-ness. Get tough on the money trail. “Ain’t gon work no other way.” The system is broken; repair it. Detect all the leaks, plug them, and redirect the flow of cash. Oppong, here’s my experience. I was once elected president of my country. I had won in a landslide victory. Just like you. The majority of people were tired, they wanted change. They saw me as their hope. Just like you. The country had been through many years of ethnic war and countless civil conflicts. My predecessor had done significant work and had made huge improvements, but the system was still not working much in the people’s interest. We remained the third poorest nation in the world. International news media described our capital city as the dirtiest capital in the entire world. We had an 89% illiteracy rate. Imagine in today’s world that huge percentage of a country’s population not being able to read or write. Ignorance was prevalent. Elaborate stealing “corruption” was the staple fancy. We were that bad. There was poverty, disease, and chaos all around. Our young people were wasting away. All they wanted to do was talk politics from morning to night. Often, meaningless discussions, which agitates them and take them nowhere. They were too disillusioned to expect more for their lives. I ran for President on the hopes of these young people. I was sorry to see all the sufferings of the population. The one thing I hate with a passion is abject poverty. I observed how systematically poverty had taken over my people and my country and was sucking the life and zest out of them. I believed I could make a difference so I ran for the highest office, the presidency. I won election. The hope of the young population was at an all-time high. Here’s something notable: When you become President you then discover the secret, that the job is not easy. Being president of a country is not for small children: No, it is not children’s play. This is superhuman work. The responsibilities are overwhelming. Everybody story becomes your headache. The problems were so plenty I didn’t know where to begin. But I started somewhere. I dived in with full strength. George, my friend, let me tell you how I went about to change the national direction of my once destitute country. Below is an excerpt from journal entries in my HI Presidential Archive. “Two days after being inaugurated, I ordered a 150-day Austerity Measure Rule. I declared a five months Period of Autocracy. First order of business was governmental salary trimming. I dictated a slashing of the Legislature salary to $7K monthly and taxable, with not a single penny more. I dictated reduction and capped Public Office executive salary at $10K monthly and taxable. No added perks whatsoever. I dictated the establishment of communications blitz called Public Awareness Media Campaign (“PAM campaign”) to involve and motivate the population. Numerous PAM campaigns were tailored informing the citizenry that Government Job/Public Service is not for amassing wealth. Citizens were encouraged to be creative, productive and become rich from their own private enterprise. The general population was sternly warned that private stealing will bring public disgrace. I dictated the Initiative of a line by line consideration of every operating principle of Government. I dictated that The National Budget be overhauled and stripped to bare necessities. I dictated the appointment of a Special Judicial Body to investigate the massive allegations of corruption in every sector. Those found guilty were disgraced for theft of public funds. Criminals of elaborate stealing and fancy thieves, systemic corruption and other ill-mannered practices were tried and prosecuted. Convicted felons were imprisoned and served their full jail sentences; additionally, they were forced to repay stolen money back into the national treasury. This was a major turning point in the country. It was absolutely a defining shift in administering the national state of affairs. During the Autocracy Period, I ran the country with a council of advisors and the leanest of governmental heads. I dictated strict stipulation that nothing accomplished during this period could be overturned. There was no tolerance of citizen uprising or violence. Freedom of speech continued, and was encouraged. But nobody hardly was listening to plenty talk-talk. Empty rhetoric was sparse. The people were shocked to see good results in the short time. A different mentality was shaping. Pockets were beginning to feel heavier nationwide. Life was breathing back into civil society. Serious-minded entrepreneurship was on the rise. Many of the lawmakers resigned because of the mandated salary cuts. Several opted to remain in agricultural and farming businesses. Others ventured into the transportation industry. Government officials resigned in large numbers, many returning to private sector opportunities. At the beginning, my leadership style appeared unconstitutional, but it quickly accomplished the goal. Business was being done not as usual. Good change was evident. People became excited. When the Autocracy Period had elapsed, there was a new and fresh scented aura in the country. The World saw the seriousness and dedicated efforts we were making collectively as a nation. The Global Community took particular notice of the austerity measures and respected the dawn of a new day in our country. Strategic Alliances acquiesced to our collaboration on how our abundant minerals and natural products were being plundered. That was the beginning of jointly working in national interest with each party reaping maximum benefit. Ratified Agreements and Contracts made sensible and firm demands of partnerships. The inclusion of our own technocrats, industry experts, financial and legal expertise at the table in all negotiations gave us the upper hand. Where necessary, PAM campaigns were used to inform and solicit public input. Our natural resources, the breadbasket of the country, were being traded fair on the global market by most accounts. For the remainder of my tenure in office, I focused on reforming the landscape of the nation and transforming the livelihood of the people. There was an upward trajectory materially and humanly. Hundreds of vocational training centers were built. There was PAM campaigns about education, including adult literacy. The Public Schools System was reinstituted nationwide. Hundreds of schools were constructed and outfitted with laboratories and libraries. Several new universities and a medical college were built with state-of-the-art technology. Numerous modern hospitals and specialty clinics were constructed and equipped world class. Two giant recycling centers for waste management were completed. Several factories were built to process, treat and convert raw material. A manufacturing plant was commissioned. Plans were being considered for a rail system linking the counties. Domestic air travel commenced. Talks were underway for purchasing a national aircraft for outbound international flights. My personal highlight of all was the roads. One of my campaign themes had been Roads, Roads, Roads. There was a road network connecting every inch of land mass. Many PAM campaigns were launched on the importance of building roads. Roads, Roads, Roads. We spoke loudly that Roads bring development. Roads spur national unity. Roads feed infrastructural delivery. The economy lives on the transportation grid of any nation. People go where the Roads lead. Goods and services follow the people wherever they go. And people build as far as where the Roads drive them. Jobs are created whenever a building boom occurs. And it worked. Everywhere, people were building, residential and commercial construction. All around were Roads. Roads. Roads. We got the people moving about freely. Mr. President, you have to start somewhere. Quickly. And do something. Soon. For your own legacy. Your employment began the day you were elected. There is no waiting period with this job. Politics is ugly-dirty business. Human beings are unpredictable. People in general are disloyal. The people have short attention span. The people have short memory. The people have no patience. The people are quick to change their mind about their hero. The people want everything for nothing. The public can never be satisfied. That is why you must hurry up and do the good things fast. In the long run, the public will only remember what you did not do. But the History books will record facts. Prezzo, you have to be tough and make sound and good decisions. My Prezzo, you have to be strict and flexible at the same time. Strict on discipline. Flexible on order of priority depending on the reality. You must be an action man for the people. George “Oppong” Weah, surround yourself with game changers. Indiscriminately, assemble the best and the brightest minds. The loudest talkers are not necessarily the action takers. The smooth operators are usually coward actors. Learn to be firm. Say NO with straight face. Say YES to what you mean. Insist on saying THIS IS what I said. Be focused in repeating THIS IS NOT what I asked. Be definite with your agenda. Half of the people around you have their own agenda. Human nature being what it is people wish it were them in that spotlight, more times than not. Blind envy and much jealousy come with your new territory. You are now forever etched in history as a President of the Republic of Liberia, the highest office in the Land. Your stage is set among distinguished leaders of countries all over the world. Doors automatically open to give you access. You definitely have earned yourself more and fierce enemies. Discern. Discern. Discern. In your past professional career you became very rich by self-made wealth. Now you have acquired power. And the authority that comes with your Office. Honor the calling. It is often very lonely at the top. Not too many can go with you all the way. Know that. Yours is a rag to riches story, by sheer tenacity and audacity, the boy from Clara Town is the man who now lives in the Executive Mansion. Remember your Grandmother and the lessons and training she instilled. You are in a class amongst a distinct cadre of political miracles of this modern era. You are in the leagues of the Barack Obamas of this world—the one least likely to be who has become! Indeed, Mr. President, it comes with its own migraines. Know your space. Guard your boundaries, socially and professionally. Have your own mind and follow your inner GPS, your conscience, guided by Godly wisdom, prayer and faith. My friend, we might not get to meet. I’ve left the world of politics. After serving two terms in office, I returned to my life’s calling and passion: Ministering the message of Jesus Christ and writing and speaking about the love and grace of Almighty God. I’d stepped away those eight years to satisfy a civic responsibility. I had only wanted to straighten things out and chart a new course for my people. Today my country is the envy of our neighbors. The whole world admire us. The superpower countries respect our little country. We are now the number one prosperous nation in all of Africa. You, too, can make your country rise again. Timing is everything. You’ve been given this your time. With God everything is possible. Nothing is impossible with God Almighty by your side. And your determination to do good. Good will knock out and outshine evil any day every day! Good always triumph. God is good. And God is good all the time. Congratulations, President George Manneh “Oppong” Tawlon Ousman Weah. Oh by the way, Your Excellency, there is one element I didn’t mention. My presidency is a hypothetical scenario. Hail To The Chief. May God Almighty give you victory. You will succeed in this work. Maybe you are called to the task for such a time as this in Liberia. Do your part well. Build everyday a stellar reputation for leadership. Leave behind a legacy worthy of respect and emulating by future generations. We, your people, wish you and your team nothing but the best. We lend helping hand and various support. It’s in our interest to wish you well. My personal contribution during your time in office is to help brand you to the world. I will follow your Executive work and tell your stories and accomplishments in narratives that describe your heart and spirit to build a better life for your people. I am counting on you to perform and do your very best. At least, let it be said of you that you did an excellent job trying to lift your people up. Let it be said at the end of your reign that you certainly did contribute…CDC. My friend, work tremendously hard, and work smart, to relieve the plight of the masses of poor people under your rule. George, enjoy your Inauguration. I will write you again on the eve of your second term. God speed President Weah. Blessings!